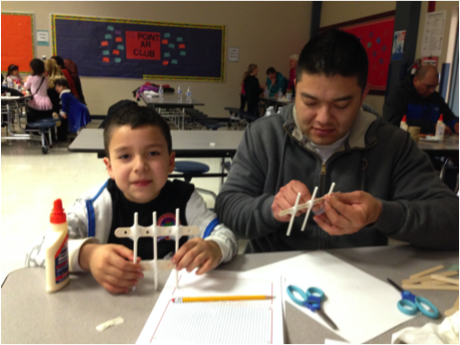 Family STEM Nights offer families a chance to engage in guided STEM projects with their children. Each school hosts a series of five evening events for families to connect and engage with a STEM project along with their students and engineers. Family STEM Nights allow students and their families to connect, spend quality time together, and engage in critical thinking and design. 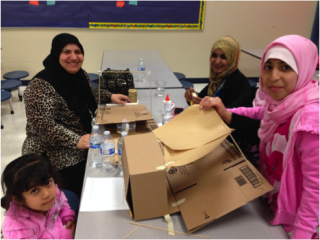 This mutual learning model allows for both families and engineers to benefit: families gain a deeper understanding of science and engineering, and their relevance in the world, while the engineers gain a deeper awareness of their own fields and improve their cultural knowledge and communication.